Ever fall out of your kayak and get dragged halfway to nowhere when trying to land the fish of a lifetime? Then worry no more, with Grandpa Grumpy Fish’s DIY Kayak Stability Device (“KSD” for short, patent pending), you’ll stay in your kayak for the long haul! 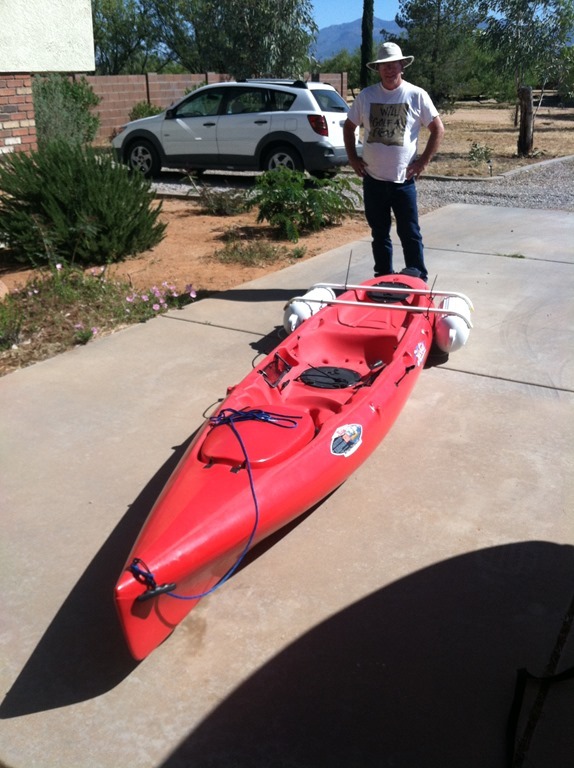 This entry was posted in Uncategorized and tagged DIY, kayak, kayak improvements. Bookmark the permalink.